At its biennial conference last weekend, the Technical Engineering and Electrical Union (TEEU) unanimously voted to “support for a boycott campaign of Israeli goods and services and a policy of disinvestment from Israeli companies” as a result of the Israeli state’s continuing breaches of international law and human rights abuses against the people of Palestinian. The Ireland-Palestine Solidarity Campaign (IPSC) welcomed the passing of the motion. IPSC National Chairperson Freda Hughes praised the passing of the resolution saying: “The IPSC congratulates the TEEU on passing this historic motion, and we proudly welcome the TEEU into the ranks of the Palestinian-led worldwide Boycott, Divestment and Sanctions (BDS) coalition that will finally bring to an end Israeli apartheid, occupation and the oppression of the Palestinian people”. 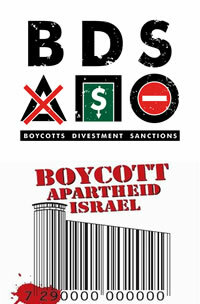 Conference pledges its support for a boycott campaign of Israeli goods and services and a policy of disinvestment from Israeli companies as a means of encouraging the Israeli government to comply with International Law and to cease violating the human rights of the Palestinian people and will pursue active engagement with Palestinian and Israeli human rights groups and civic society organisations as appropriate.